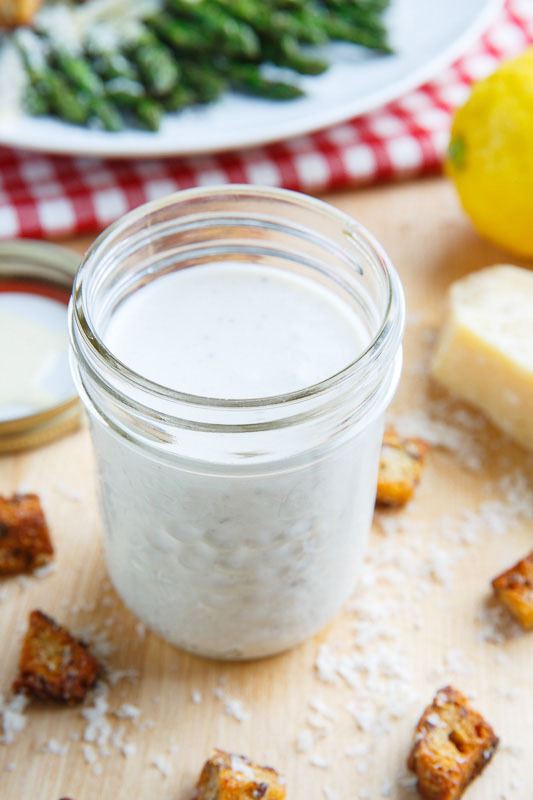 A quick and easy caesar salad dressing. The caesar salad is a classic salad, and with good reason given how tasty it is, and most of the flavour comes from the dressing which is easy to make at home! 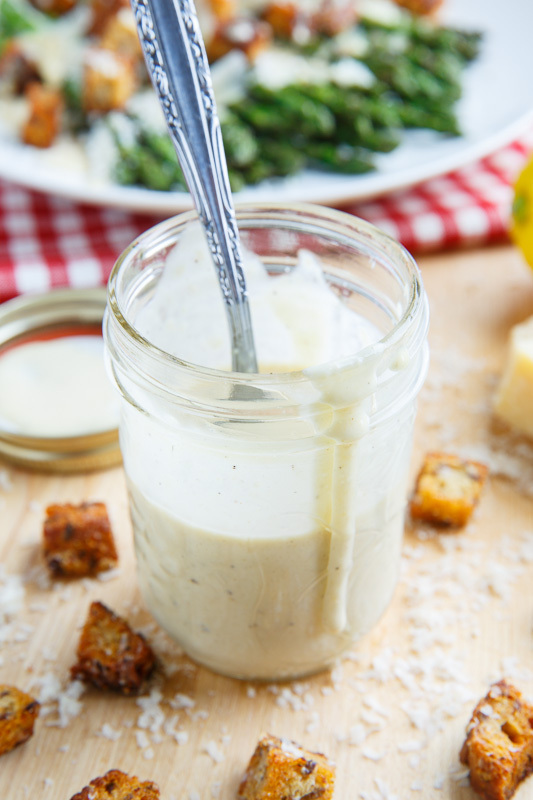 The caesar dressing traditionally consists of olive oil, lemon juice, egg, Worcestershire sauce, garlic and black pepper and you can play around with it from there. I like to add anchovies, Dijon mustard and parmesan to mine for even more flavour and you can mix everything in a blender so it’s a piece of cake to make! If you are a bit squeamish about using the raw egg yolks or you want something a little on the lighter side you can replace the egg yolks and olive oil with greek yogurt and buttermilk and still get a super tasty caesar dressing. To be honest I prefer the flavour of the egg and oil version of the dressing more since it is richer, creamier tastes lighter but if you replace some of the greek yogurt in the lighter version with mayonnaise it gets much better so you can find your own balance between flavour and calories. The next time you make a caesar salad at home pull this recipe out and make you own instead of reaching for the store bought bottle; it’s super easy to make and it tastes so much better! The lighter greek yogurt caesar dressing above and the egg and oil version below. Blend everything with a blender and enjoy! Option: Coddle the eggs by placing them in boiling water for 1 minute before cracking them open to help kill off any possible bacteria. 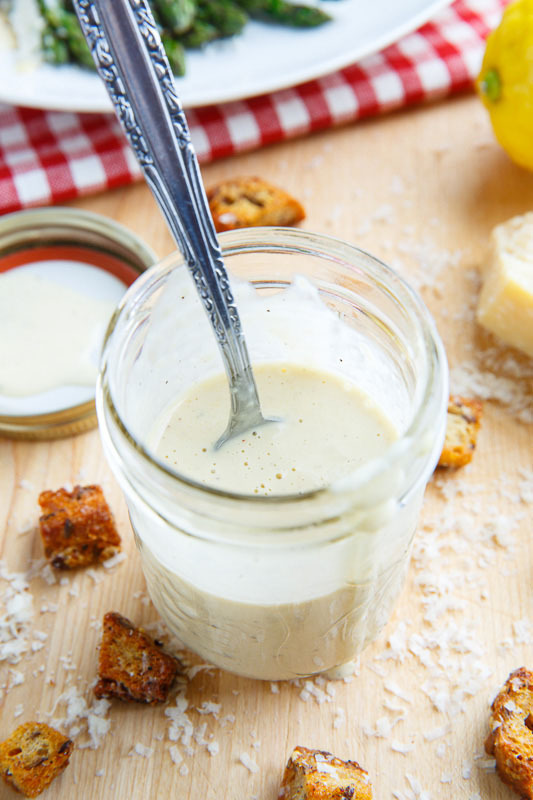 A quick, easy, tasty and healthy homemade lighter caesar salad dressing. Option: Replace 1/4 cup Greek yogurt with 1/4 cup mayonnaise for more flavour. Try this again – lol posted twice and nothing – as I said earlier Love Caesar salads – use to make my own dressings with extra garlic – may do this today – with my home made croutons – don't like the rocks they sell or serve on salads when I go out – and when I don't have romain I just use my ice berg lettuce and shred it fine – yummy now I want one..